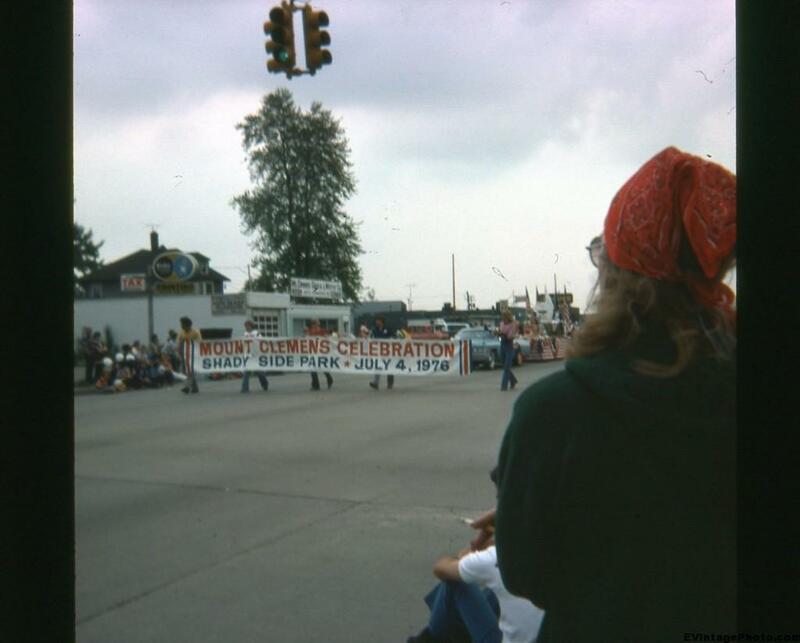 The 1976 Fourth of July Parade, Michigan was no doubt an amazing time. Floats from Mount Clemens Michigan and Warren Michigan participated in the parade. 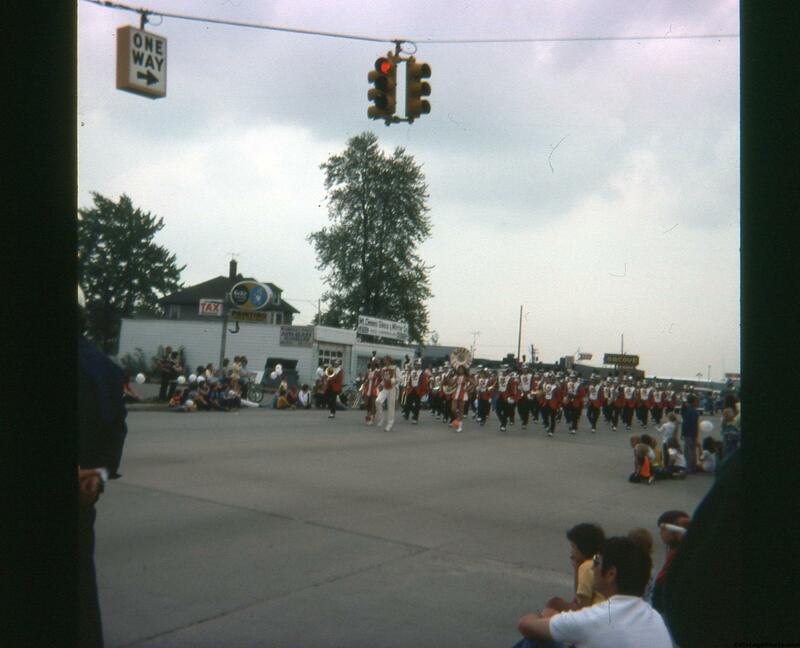 It looks like this parade was held in Mount Clemens and included all the usual suspects as participants, including a marching band of unknown origin. 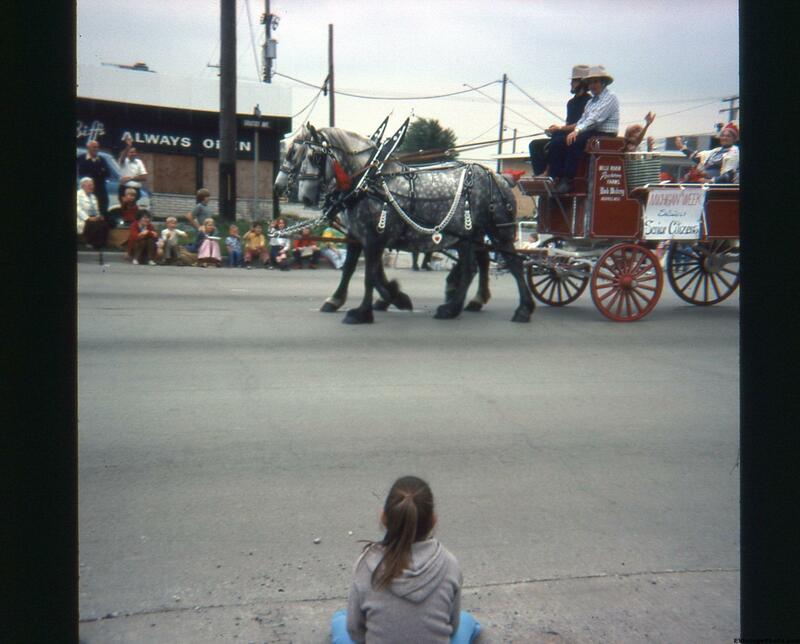 As far as I can make out, the wagon and horses are from Belle River Parkinson Farms, and is carrying some senior citizens. I was not able to find out if the farm still exists. If the farm does exist still it looks like they only raise rabbits – or have no web presence at all. A random high school marching band, perhaps from Clemens? 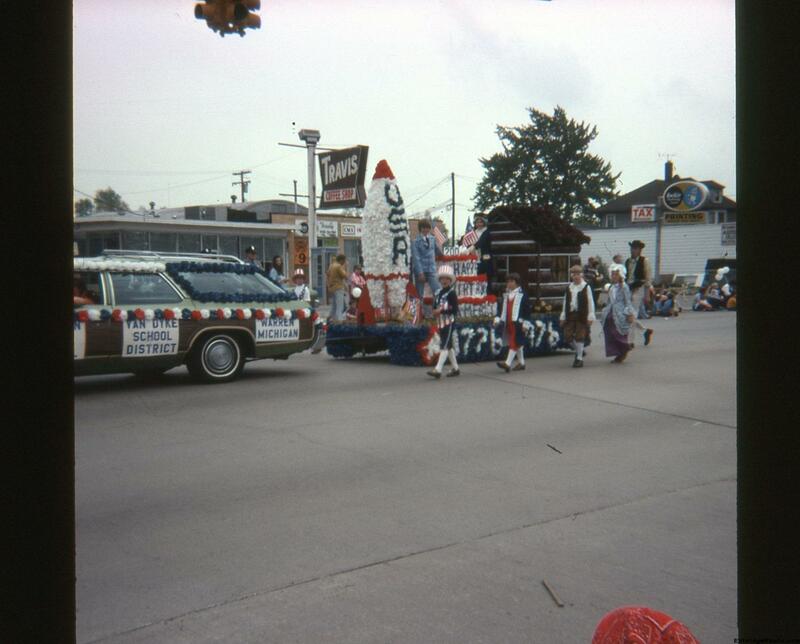 And of course we have the float from the Van Dyke School District in Warren Michigan. A juxtaposition of Rocket, Log Cabin, and Uncle Sam with entourage.